I should add that, during the height of the war, the Secretary of Defence initiatied a scheme to recruit officers from minority communities to the Cadet Corps, to serve as English teachers too. Unfortunately, after one intake, the Ministry of Education managed to kill this initiative, though the failure to press for its continuation I believe suggests a lack of understanding of how such initiatives can contribute enormously to social integration. Certainly I hope now that there will be active encouragement for Tamil as well as Muslim youngsters to join the forces at all levels, and in particular as officer cadets. For this purpose there is need of establishing cadet corps in schools in the North and East and, though this has begun, I hope the forces at least will not fall prey to the classic Sri Lankan fault of too little, too late. With regard to the police, the doors were always open, but sadly the toll the LTTE took of Tamil policemen, and active discouragement and threats, meant that few joined. Following the very successful intake at the newly developed Kallady Training School in 2008, there were not enough applications for a second such course. Negative elements claimed that this was because the police discriminated against Tamils and Tamil recruits, but the fact that, following the elimination of the LTTE in Sri Lanka, large numbers applied, proves that it was fear rather than distaste that kept them away. Following those post-war intakes, the number of Tamil policemen in the North has increased by leaps and bounds, but we need still more. The aim should be that, not only there, but all over the country, complaints can be recorded in Tamil, and evidence led in court in Tamil when needed. This of course relates to the second area in which we need to fast forward social integration, namely through a proactive trilingual policy. Though we cannot expect everyone to know three languages, we should certainly ensure that all those in school now know at least two, and we must provide mechanisms whereby opportunities to gain at least speaking competence in a second will be readily available for adults. Government officials, it should be noted, following the seminal reforms introduced by Minister D E W Gunasekara soon after President Rajapaksa took office, are required to achieve competency in the second official language to be eligible for promotion. It is interesting that all those who complained that perhaps the most vital provision of the Indo-Lankan Accord of 1987, that Tamil become an Official language, was ignored, did not give credit to the first government that tried to give the provision teeth. Whether the regulations promulgated by the Minister will actually lead to the desired results remains to be seen, but clearly government should make this a priority and provide better language learning mechanisms. In particular it should ensure second language competency in all police officials serving in areas where there are substantial Tamil speaking populations. This will not be difficult to achieve, as I noticed in observing how Sinhala and Tamil policemen working together had begun to learn each others’ languages. In Mannar for instance I found the Women and Children’s Desk manned by three youngsters, two Sinhalese and one Tamil, two women and one man, all three able to communicate in both languages, and displaying commendable understanding of the problems of the people with whom they had to deal. They had learnt from each other, they said, and surely it should not be difficult for Officers in Charge of stations to institute programmes to make this universal. But this concept, of peer learning, can and should be developed more widely too. I gather from not only officials, but civil society in the form of Rural Development Societies at the Reconciliation Committee meetings now held at Divisional Secretariats, that there is a great desire to learn Sinhala. The complaint is that there are not enough teachers, but instead of waiting for the Ministry of Education to provide such teachers, and enough Tamil teachers for second language learning in the south, we should develop conversational classes through volunteer facilitators. The police personnel now deployed in the north could easily contribute to this, but they should also show themselves willing to learn Tamil, so that a symbiotic relationship could develop. Military personnel could also contribute to such initiatives, but there is also a more powerful manner in which the military could take the process forward. I refer to the development of formal qualifications, certificates and diplomas and degrees, based on a modular approach that enables youngsters to select from menus of learning that will give them a better future. This is something I believe the Kotelawala Defence University should start, because it is in a better position to introduce the flexibility with regard to educational qualifications that our traditional universities find difficult. The menu should include languages, not only the three languages formally recognized by the Constitution, but also two more that are vital in the modern world, computer awareness and mathematics. Language learning could be accompanied by translation skills. Taking a leaf out of the degree programmes the military now conducts, there could also be provision of soft skills on the pattern of the core competencies that the more advanced universities in America have identified – leadership and decision making skills, social and international awareness, initiative and entrepreneurship and management. Going along with this is vocational training, in which the military has resources to satisfy the more pressing needs in the north. When I was planning to use some of my decentralized budget for vocational training in Mullaitivu, the survey that the enterprising educational agency Aide et Action did revealed that diesel engine repair was the most desired subject. In other areas in the north I was told of the paucity of training facilities for higher level construction work, plumbing and wiring – for which long and undependable bus journeys had to be made to principal towns – in addition to carpentry and brick-laying. 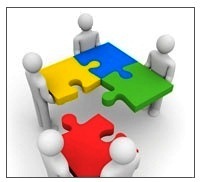 Integration occurs most readily when people work together or learn together. If both tasks can be combined, so much the better. I would suggest then that the KDU, if no other educational institute will undertake the task, develop vocational courses that will allow other service providers too to train, while also setting up centres under civilian management that will provide not only training but work experience. Thus the superb housing programme that the military has commenced in the north, second in size only to the Indian effort, and moving much more quickly because of fewer bureaucratic constraints, can be expanded to include training and certification for the resettled. They will thus be able to work side by side with military personnel in providing housing, both through funded projects and for those who have earned enough to expand the basic shelters with which they were initially provided. One of the reasons to include soft skills in such training programmes is to enhance employability in other contexts too. One of the reasons I chose Aide et Action to run the training programmes envisioned through my decentralized budget is the personality development they also give their students. I had seen this at their Centre in Ambalangoda, where the communication skills of those who had qualified in various disciplines were impressive; and I had also seen how those who had commenced classes at the Centre begun recently in Vavuniya were enjoying the work and the interactions. It was a far cry from the almost deserted vocational training centres I had seen elsewhere, with students looking as bored as the staff. With Aide et Action, on the contrary, self expression was encouraged, through cultural and social service activity, and their readiness to bring together the students in their various centres is seen not just as fun but also as an essential part of the training programme. The result is that their products could be employed anywhere. Given the desire in many of our youngsters of all communities to migrate in search of work, we must surely seek to give them the additional skills that enable the Philippinos, for instance, to command much higher salaries on the labour market, whereas our equally or perhaps more talented youngsters languish in the monolingual rote performances to which our education and training programmes have confined them. Another reason for suggesting a menu of courses is that we must also provide opportunities for those deprived of higher learning through no fault of their own to resume making their way up an educational ladder. The type of certificate course I envisage would allow those who did not obtain Ordinary Level qualifications to catch up on this, without having to learn subjects that are inappropriate for adult learners and which would not help them anyway. A choice from the five languages I have mentioned, plus vocational subjects and aesthetic or religious studies, would give them that much desired certificate which qualifies them for government jobs. This is currently a problem, as the very sensitive police officer in Mullaitivu told me, who had found that most applicants for laboring jobs with the police did not have the Ordinary Level certificate required – while three had Advanced Level qualifications which led him to advise them to apply for higher positions. That gap I fear is not uncommon, given that the LTTE, while allowing a chosen few to go on to higher studies, prevented many from getting even basic qualifications. We should therefore facilitate their catching up now, but we need to think of practical ways to achieve this, rather than making them go through the whole gamut of subjects. Again, for this purpose, I believe the military will be able to provide streamlined courses. And some of them, of course, will be able to go on, to obtain Advanced Level qualifications, while a few could go on to Diplomas and Degrees. We must after all get rid of the still rigid divide between academic courses and technical training, based on a British model of exclusivity with regard to tertiary education that the British have long abandoned. Since however the Vocational University has been slow to provide the qualifications available in other countries to those with technical skills, I believe the KDU should take the lead. I should note that this will contribute to social integration in the rest of society too, not only in areas affected directly by the conflict. The need for such imaginative measures in education is apparent in other areas too, and reinforced by the activities suggested in both the National Human Rights Action Plan, and the LLRC Action Plan, both of which have been adopted by Cabinet. I fear however that, if we wait for the various agencies now responsible for the areas of activity mentioned, we will have to wait for ever, particularly in the case of Educational innovation. I can understand the need for a popular Education Minister, given that much of what is done by the Ministry relates to dealing with individual demands about schools admission, and appointments and transfers. But unless we adopt alternative mechanisms for policy changes, the excellent systems in place in the model school the Minister of Education has himself started in his electoral area will not benefit the vast majority of our children. Taking that model as a starting point, and since it is probably impossible, given vested interests and the need to stay popular, of advancing reforms in existing institutions, we should therefore allow new schools to be started, provided they carry out to the letter government policies with regard to social integration in the widest possible sense. This means not only bringing youngsters of different ethnic and religious backgrounds together, but also ensuring opportunities for social advancement for the deprived. The LLRC Action Plan suggests the formulation of a policy that would encourage ethnically mixed schools and ensuring that schools include programs to promote inter-community interactions. The Human Rights Action Plan draws attention to the variance in the quality of education, and inadequate access to quality education at tertiary level, while also suggesting the need to reduce inter and intra district disparities in the provision of quality vocational and technical education. That compensation for these deficiencies has arisen already can be seen in the massive number of private initiatives, providing English medium education in many rural districts and university qualifications through links with international universities. While I see no reason to stop all this, it is tragic that encouragement is not given to the non-profit sector to start schools and tertiary training institutes too (without insisting on the outdated distinction between academic and vocational training). Such schools and institutions should be permitted to charge fees, but required to provide scholarships and ensure ethnic integration in their student bodies. The Catholic Church will be more than willing to undertake this responsibility and, given the massive clamour for admission to schools run by church personnel, it is clear that the schools they set up will cater to the entire country and all communities. Unfortunately government officials will not encourage this, as was seen when Hillwood, overcrowded and coping with children travelling from far afield, tried to alleviate the problem by establishing a branch in Kurunagala. But at the same time, while permitting the institutions that already manage private schools effectively to expand, the state should encourage other religious bodies, for instance the Mahabodhi Society and (in the absence of a functioning Buddhist Theosophical Society) the Olcott Schools to replicate the tremendous achievements of Buddhist education at the turn of the last century. Again, though similarly the Navalar schools set up at the same time do not have a functioning structure, nor Muslim private schools in general, the excellent management of Hindu Ladies College and of Zahira College would surely be able to replicate their much sought after educational systems. In all cases however the state should insist on schools admitting an ethnic mix, with permission initially granted for such schools to begin in areas where this will be possible. Certainly Mannar and Vavuniya and Puttalam and Anuradhapura and Trincomalee and Batticaloa and Amparai and Nuwara Eliya and Matale and Badulla and Ratnapura and Kegalle, to name just a few places in need of such excellence, will benefit from schools that rival in quality those in Colombo and Jaffna and Kandy and Kurunagala and Galle. This is obviously an area in which the Ministry of Defence too can help. It has started one school I believe, but it can surely do more, throughout the country, in areas where the children of service personnel would benefit, along with local children. I remember some years back, when I was Academic Coordinator of the SLMA Degree Programme, suggesting that the SLMA take over management of one of the Diyatalawa schools, and ensure that the quality of education was such as officers wanted for their children. In the process, local children as well as children of other ranks would also benefit. Unfortunately, in the midst of other more pressing concerns, that suggestion could not be taken forward. But there is no reason for it not to be taken up now, with similar initiatives in the capitals of Districts in the North where the army has a significant presence. Such a scheme could be authorized by the Ministry of Education, through a special branch perhaps for which one of the Ministers or Members of Parliament now attached to the Ministry could be responsible, with the Ministry of Defence undertaking administration of such schools under the supervision of that special branch. In particular it would make sense for the Ministry of Defence, as well as other agencies concerned with education, to develop the equivalent of 6th form colleges, providing English medium teaching for the Advanced Level. At present, though English medium continues extremely popular all over the country, parents of children in state schools are discouraged by the paucity of teachers, and in particular do not want to run the risk of exposing them to English medium teaching at Advanced Level, since government has failed to provide sufficient teachers at that level for schools outside charmed urban circles (and sometimes not even there). A few institutions run independently might be able to bridge the gap and bring children of different communities together. Obviously such institutions should also provide advanced programmes of extra-curricular activities, designed to promote socialization and personality development and leadership skills. Pending such developments, we must proceed more quickly with twinning of schools and encouraging joint activities, as mentioned in the LLRC Action Plan. Through the association set up in the Reconciliation Office for Religion, Education And Pluralism (REAP) we have already written to the various Ministers of Education concerned for permission and support for a programme in which schools from the South would develop partnerships with schools in the Northern Province. This programme is intended to go beyond the various exchanges that have occurred in the last few years through a number of organizations. The REAP initiative is designed to develop sustainable projects that will entrench companionship and also help deprived areas with particular needs. The idea would be for a major school in the South to establish a link with a school that teaches upto Advanced Level in the North, and for both jointly to adopt the smaller schools that feed into that school in the North. As I have noted before, integration occurs most readily when people work together or learn together, and it is so much the better if both tasks can be combined. So we would encourage students to get involved too in social service projects for the Division, and to encourage parents involved in social groups such as Rotary or with Corporate Social Responsibilities to develop programmes to assist that Division. The links thus established, students from two different schools working together, would contribute considerably towards mutual understanding and reconciliation. Some schools have already approached potential partners, and most recently the one private Hindu school in the country arranged a meeting with other prominent Hindu schools in Colombo, run either by the central or the provincial Ministry of Education, to encourage them too to get involved. If we can have schools representing all religions working in a particular Division, then they can organize fund raising on a larger scale in Colombo, and develop wide ranging networks in Colombo (or perhaps another big city) and in the selected Division. One area in which they should set examples is that of extra-curricular activities, since many schools in deprived areas, and not only in the north, do not have such initiatives to provide students with a full education. Whereas in privileged areas there are clubs and societies for sports and cultural activities and social service, smaller schools are without these, which is why their products have fewer opportunities to develop social and organizational skills. Though in theory the Ministry of Education encourages such activities, they have not yet understood that such matters cannot be left to chance and the benevolence of good principles, but must be made mandatory. These also are areas in which the forces can help. While obviously it is the community that must demand added value for their students in schools, the presence of coaches and trainers willing to help will be an added incentive for principals, and indeed enthusiastic students and teachers, to start activities. I am aware that in some areas in the north the police, and even the forces, help with sports training, but they can do more, while also encouraging community leaders to initiate social service activities, Scouts and Guides and Cadeting and st. John’s Ambulance societies. In any case, given the increasing risks of natural hazards, we should be trying to set up Disaster Management and Response teams in all schools, and military personnel would be the most capable as a group of providing support and training for such teams. In the long run of course such training should incorporate the building up of inter-regional and inter-ethnic teams, with training camps for particular skills, responses to flood or drought, tsunami or landslides. In particular, given shifting weather patterns, and the importance of agriculture in most rural areas, students could also be trained in water management, and to initiate small irrigation schemes in their areas. Such activities should be incorporated in school syllabuses too, though the focus should be on practical work, not rote learning. Both the LLRC and the Human Rights Action Plans mention the need for Human Rights education for children. The Action Plan however goes further, in mentioning value education, but the Ministry must realize that this is not something that can be taught only in the classroom. Some years back, when I chaired the Academic Affairs Board of the National Institute of Education, we prepared what I think was an excellent curriculum for Life Skills, and indeed Cambridge University Press in India thought it worth producing textbooks for, to use also on the Indian market. Sadly that curriculum was suppressed, along with other sensible innovations, and by making History compulsory at Ordinary Level, even what remained is done by very few students in Grades X and XI. Now, at least, in fulfillment of the Plans approved by Cabinet, Life Skills should be made compulsory at that level too, at least as an alternative to history, or perhaps as part of a compulsory Social Studies subject in which essential elements of history too are incorporated. Certainly we must use those formative years to inculcate values, and ensure that they are exemplified through social and sports and cultural activities. I have made several suggestions, at least some of which will I hope be taken up by the Kotelawala Defence University and the Ministry of Defence. The achievements of the last few years were due to constant training, careful planning and continuing assessment of progress. These are traits that must be introduced into the population at large. The ability to work as a team is something the nation has lost in the years since independence, and I hope those who have managed to produce excellent and focuses teamwork will promote the social integration we so badly need.